Constructed for strength and durability making these versatile tools. * The reversing mechanism is specifically designed to make flipping to the other side a snap. * Strong steel lock clamps adjust to secure the board to the preferred position. 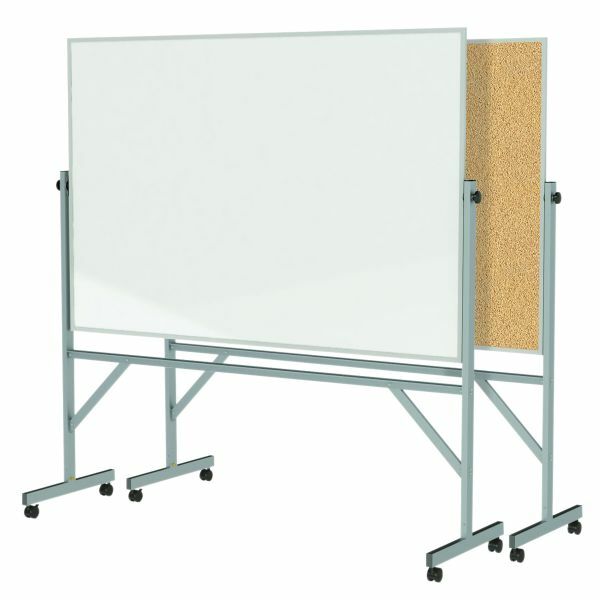 * Each of these units feature a full-length accessory tray for convenience and reinforced bracing for reduced swaying. * Locking casters are standard on aluminum framed units only optional on the wood series. 79" x 55" x 5"